Advertisement, Pennsylvania Gazette, 1751 As the Scheme formed by the Gentlemen of Philadelphia, for the regular Education of their Sons, has been happily carried into execution; the Ladies excited by the laudable example, are solicitous that their Daughters too might be instructed in some Parts of Learning, as they are taught in the Academy. George Smedley Webster, 1875 Cert. Prof.; 1875 B.S. as of 1909; 1910 Sc.D. 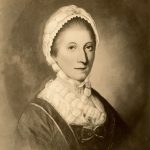 (honorary) I am convinced that the spirit of the times tends towards equipping women, by education and training, to undertake some of the important duties of life which are now being performed by men, and especially during the present war emergency when there is such a demand for well trained men and women. 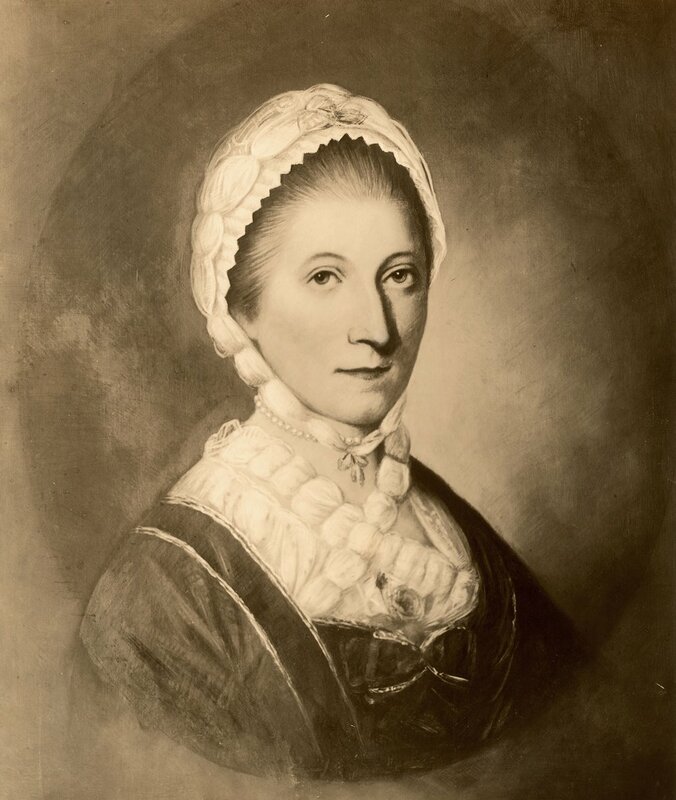 I therefore think that it would be a grave mistake to deny women the right of equal education with men. 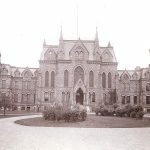 If the University of Pennsylvania is to keep abreast of the times and fulfill its full mission to the Nation, it must be awake in this respect and realize that it cannot live upon past traditions, but must be the foremost college in aiding to make all our people efficient. Gertrude Klein Peirce Easby, 1878 Cert. Prof. I want to urge women to go in for original work in research – no longer to be merely hands for another brain. 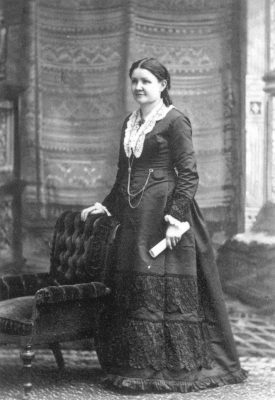 Mary Alice Bennett, 1880 Ph.D. I can have no shadow of doubt that extraordinary precautions often suggest, or increase, the violence they are intended to prevent. Freedom of action is a wonderful tranquilizer. 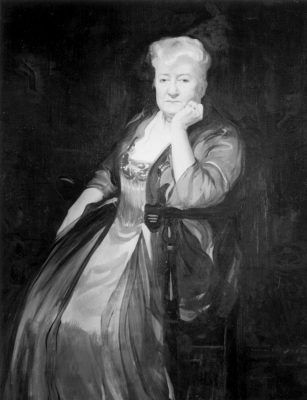 Mary Thorn Lewis Gannett, 1880 Cert. Prof. Try to persuade any man that he will have more weight, more influence, if he gives up his vote, allies himself with no party, and relies on influence to achieve his ends! … By all means let us use to its utmost whatever influence we have, but in all justice do not ask us to be content with this. Henry Houston Bonnell, 1880 B.A. Women, in my judgment, should be given equal chances with men…I am naturally a conservative and am a follower of traditions whenever I may do so. I personally dislike co-education, and I believe there are good arguments against its application in most of the undergraduate departments. 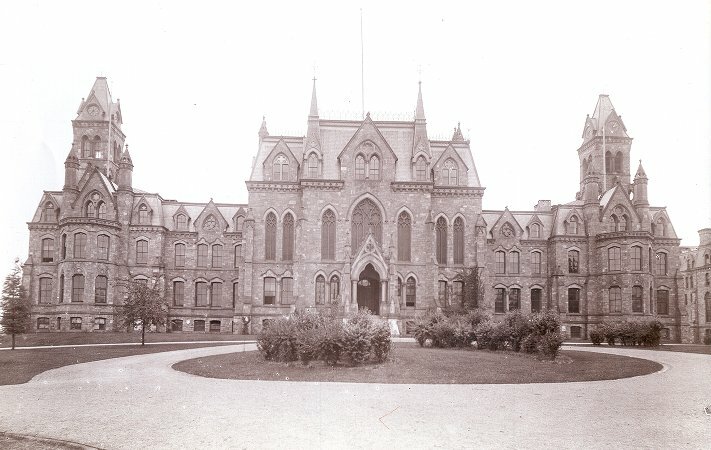 But I also feel that if we do not give the women the rights they are entitled to by the creation of such an institution here as Barnard or Radcliffe, we should in all fairness open the doors of the University to them; not, I repeat, as a financial necessity, but as a mere matter of justice. Carrie Burnham Kilgore, 1883 LL.B. 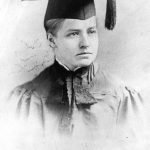 When I had graduated and was finally admitted to the Bar, it was familiarly said to be ‘the greatest victory since the Civil War’ …It is impossible for you, or indeed any of the University people, not then connected with the University, to appreciate the intense opposition to my admission to the University, and the work required to open the way for and to women. Now people wonder that there was opposition to it, and it seems, also, wonder if there really was opposition to it. 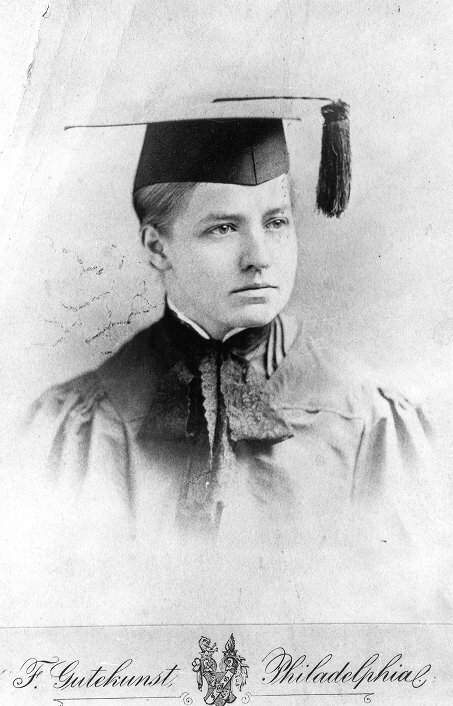 Ida Wood, 1884 Cert. Prof. The University has done its part, it has given disciplined minds, trained judgment, keen perception. . . Out of the abounding counsel that age has always been ready to bestow on the younger generation, I select three admonitions: Do not scrap the old ethical standards in any specious belief that they hamper a free expression of one’s individuality;. . . Take with you into life a fine sporting sense of the rights of the other fellow; respect your own rights but respect equally his rights. . . . Do not be too good natured;. . . Do not supinely accept that which may be improved because it seems ungracious to protest or too much trouble to endeavour to amend. Anna Robertson Brown, 1892 Ph.D. We have not yet found out exactly where the man belongs, and where the woman, in an ideal state. It is in our day that this strange combat is, so far, at its height. I sometimes wonder if our age will go down in history as the age in which the race of woman was at war with the race of man. Sara Yorke Stevenson, 1894 D. Sc. (honorary); first curator of the Egyptian and Mediterranean section of the University Museum The days of useless martyrdom are over, also those of heroic sacrifice where it is not needed. What we need to do today is not to slaughter men and parties who do not happen to think as we do … but to educate them, teach them to see, to know, to love, to feel, to grow. 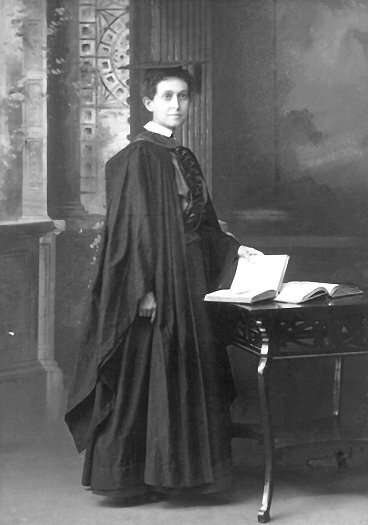 Louise Hortense Snowden, 1898 B.S. 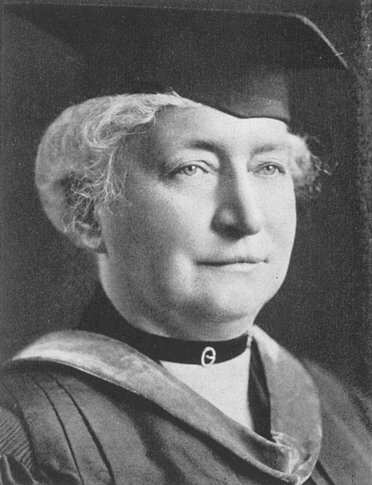 in Biology; advisor to women (at Penn), 1919-1925 It would be difficult to make the present generation of women students realize all the intangible, as well as concrete, obstacles that hampered the path of their predecessors. Today, intellectual women face the world danger of the ‘standardized mind.’ No wonder that complaints arise about the lack of great leaders. Margaret Center Klingelsmith, 1898 LL.B. ; 1919 LL.M. (honorary) We had the joy of the pioneer-the gladness of all beginnings. Col. Joseph M. Bennett, 1898 I further give, bequeath and direct unto the Trustees of the University of Pennsylvania all of the real estate known as the Chestnut Street Opera House. . . My object in making the aforesaid donation to the Trustees of the University of Pennsylvania is most especially to encourage and enable them to carry out the scheme of coeducation of women or girls, as has commenced in the buildings heretofore donated by me at southeast corner of 34th and Walnut Streets, in a more thorough, extended, practical and liberal manner, and for the purpose of erecting new buildings, and do everything in relation thereto which will be most creditable to me as the donor and to the University. Phi Delta Theta, Scroll, 1900 Dean Penniman, of Pennsylvania, has excused from chapel attendance the co-eds of the University. This is the result of the indignation manifested by senior men because about twenty-five of the young women, for whom no place has been reserved in the chapel, have presumed to take seats in the senior section.